Welcome to www Dentim s.r.o. 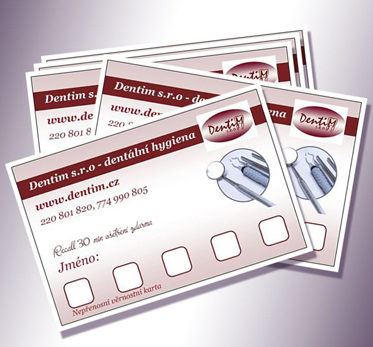 – dental office, dental surgery for the whole family. If you are interested in our newsletter, subscribe here. Try a new and the most effective method of painless teeth whitening by Philips ZOOM WhiteSpeed. It is the most effective teeth whitening method currently available in the world. Philips ZOOM belongs among the gentlest systems, offering both in-office and home whitening. No tooth sensitivity! Our dental clinic boasts to have (as the only one in Europe and maybe in the world) the waiting room decorated in the style of Depeche Mode. You can see some photos from their gigantic “Tour Of The Universe”. There is a soft music playing in the waiting room, there are no dental posters on the walls and therefore you don´t have a feeling you are at the dentist. More about the band you can find at www.depechemode.cz. During the treatment in the office we will sweeten your auditory perception with Yamaha high quality sound system. It transfers 7.1 channel surround sound, using the sound field of 22 transducer beams. Yamaha IntelliBeam technology ensures the room is full of high quality sound. Tell us what you want to listen to during the treatment and we make it happen for you. Play the music wirelessly from your iPod, iPhone or iPad.The sound system was installed by www.ambient.cz. Are you missing a tooth or several teeth? 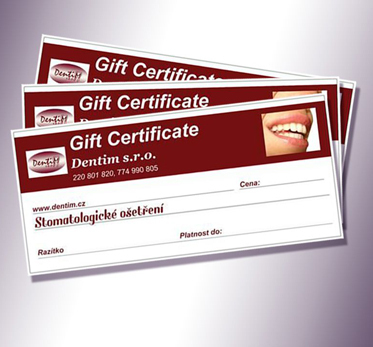 Do you want your beautiful smile not to be spoiled by a missing tooth? Do you want to regain self-confidence and have no limitations in your social and working life? We have a solution for you! Dental implants help you! It is the best way how to get a brand new tooth, looking absolutely authentic. It fulfils all the functions of the natural teeth. Dental implants are long-term, high quality comfortable solution. Dental implants can nowadays easily replace common uncomfortable dentures (bridges or removable dentures). If you have a question or want to order, write us. We will contact you as soon as possible by phone or email.